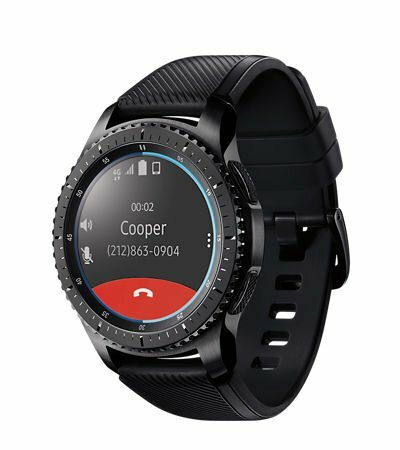 The Samsung Gear S3 frontier smartwatch is engineered to be rugged and versatile, for the smart adventurer. It's rugged look and durable silicon band complements its tough construction, built to hold up against harsh weather and everyday bumps. With 4G LTE connectivity and NumberShare, you can stay in touch, get updates, and receive notifications, even when you leave your phone behind. Play a song, call a ride, check your social media, and more, all without having to touch your phone.